Century RI2399N C39 V2 Magpul MOE Semi-Automatic 7.62x39mm 16.5 30+1 Magpul MOE Stk Blk Nitride in. Centurys C39 V2 Magpul MOE semiautomatic rifle features a black Magpul MOE stock and an enhanced trigger. 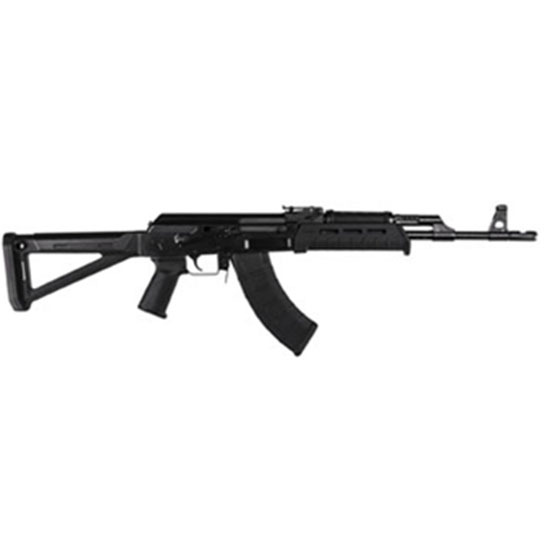 This 7.62x39mm has a 4150 chrome moly steel receiver and a black metal finish. The 16.5 steel barrel has a threaded muzzle with 14x1mm LH threads and a rate of twist of 110". It has a 301 capacity weighs 8.1 lbs and has an OAL of 36"."